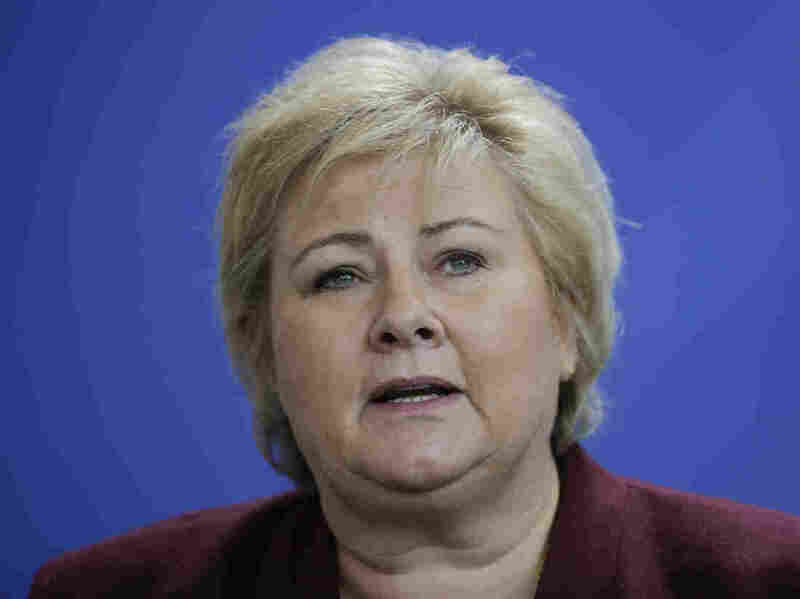 Norwegian Prime Minister Erna Solberg speaks during a joint state ment with German Chancellor Angela Merkel on Tuesday. The following day, Solberg apologized to the "German girls" who faced government retaliation for their relationships with occupying German forces during World War II.
" For many, this was just a teenage love, for some, the love of their lives with an enemy soldier or an innocent flirt that left its mark for the rest of their lives," Solberg said. "Today, in the name of the government, I want to offer my apologies." Many German men occupying Nordic countries were encouraged by their leaders to have children with local women. Lebensborn â" which translates to "spring of life" â" was the infamous Nazi leader Heinrich Himmler's effort to engineer an Aryan super-race by commandeering the offspring of blond, blue-eyed Germans and similar counterparts in Nazi-occupied countries. Lyngstad's mother and grandmother were ostracized after she was born, and immigrated to Sweden soon after. Those who stayed in Norway were subject to social discrimination, had difficulty finding work and reportedly were classified as 'rats' by government offici als.